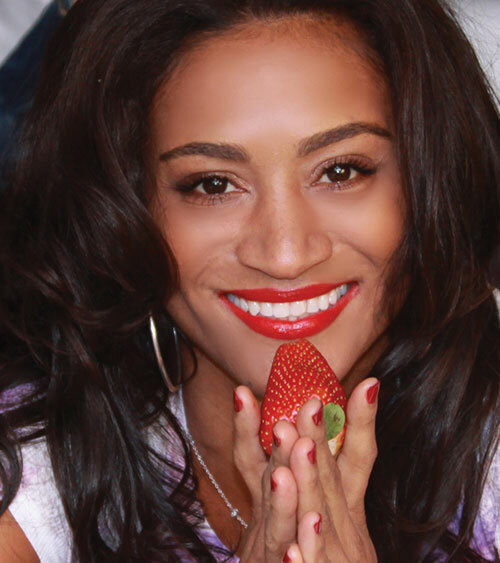 I grew up a native Southern California girl, loving the outdoors— and the tastes of good Southern Californian Mexican American cuisine. My all-time favorite, anytime, for grab n’ go is a hearty, boldly flavored taco. Hands down, there’s something so satisfying about biting into an authentic handmade taco filled with grilled marinated meats, succulent shrimp and fish and then topped with naturally fresh and organic ingredients of cool cilantro, crisp romaine, roasted tomato salsas and robust cheeses. As my love for tacos grew, and my curiosity about incorporating various flavors and textures of the healthy and exotic kind evolved, I created a vegan taco so delicious it not only fooled my friends, but will fool yours as well. “Vegan Ground Beef Tacos with Blue Corn Tortilla Shells” are simple, quick and easy to make and can be served any day of the year, amped up with the delicious flavors of Southern California, creamy guacamole, spicy charred tomato salsa and tangy cotija cheese. Read: Michael Jackson. Who's bad? Method: In a large saute pan add the EVO, onion, jalapeño, vegan ground, scallion, cilantro, taco seasoning and water. Simmer together until browned and the flavors are well incorporated. 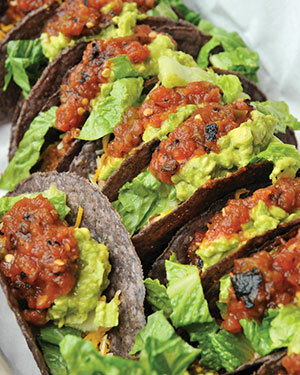 Fill the blue corn taco shells with the mixture and top with the prepared guacamole, charred salsa, lettuce and cheese.